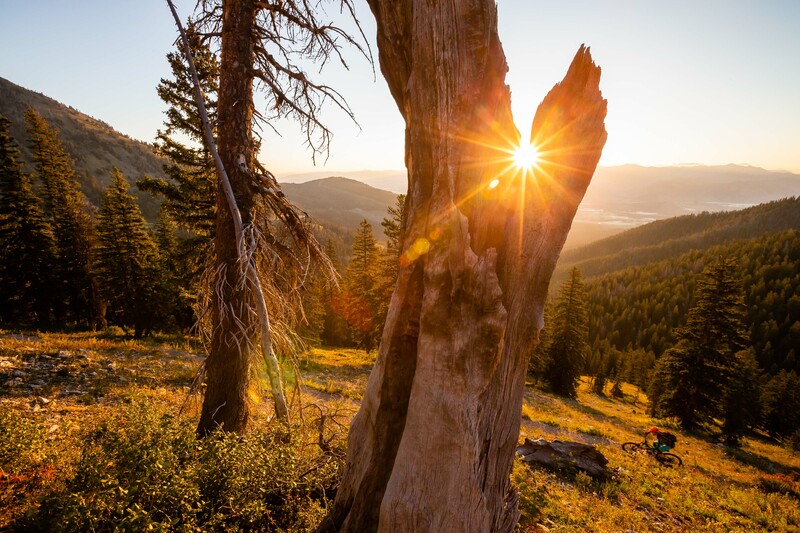 Feature article written by Brigid Mander about the mountain biking and trail access on Teton Pass just outside of Jackson, Wyoming. 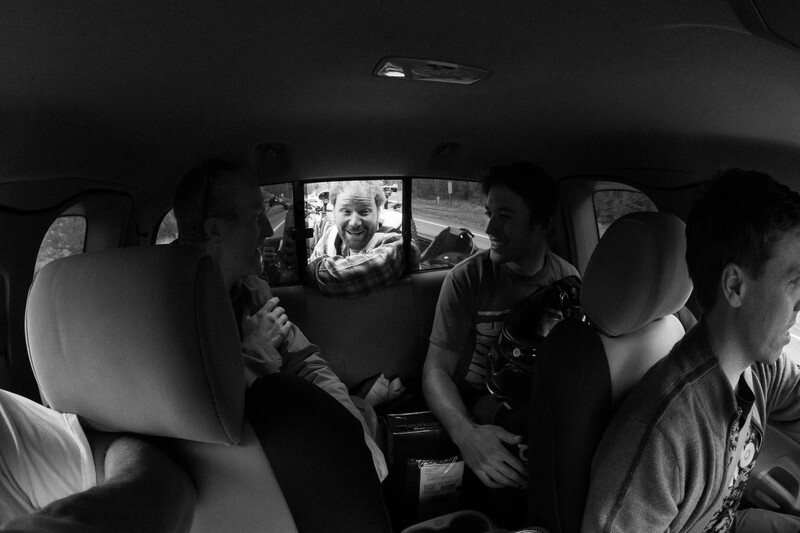 Photos by Jay. Aaron Grutzmacher drives Andrew Whiteford, Kyle Dowman, Rob LaPier, and Jay Goodrich to the top of Teton Pass to ride Fuzzy Bunny. 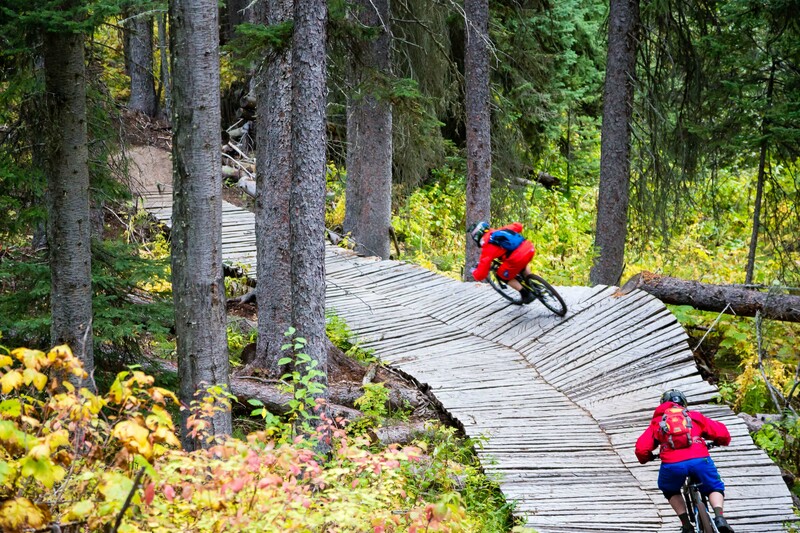 Harlan Hottenstein (Back) and Andrew Whiteford (Front) descend the Lithium single track off of Teton Pass near Wilson, Wyoming. 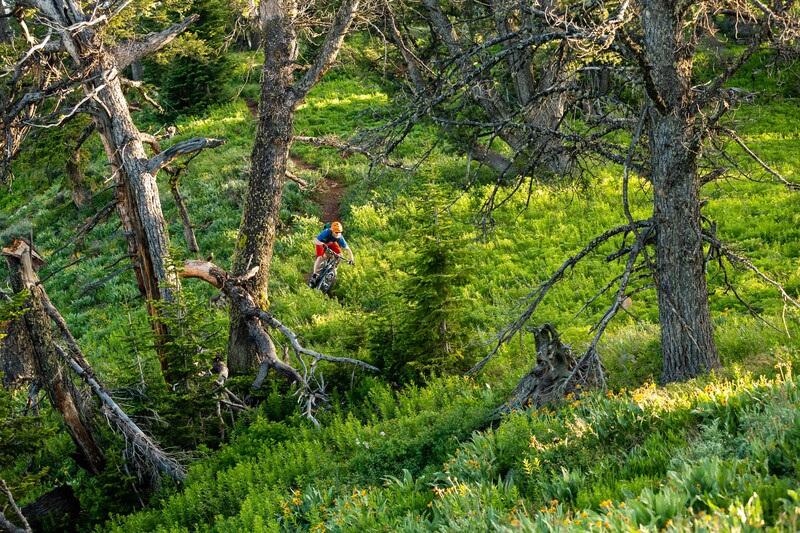 Andrew Whiteford rides the single track of the Philip’s Ridge Trail in Teton County, Wyoming. 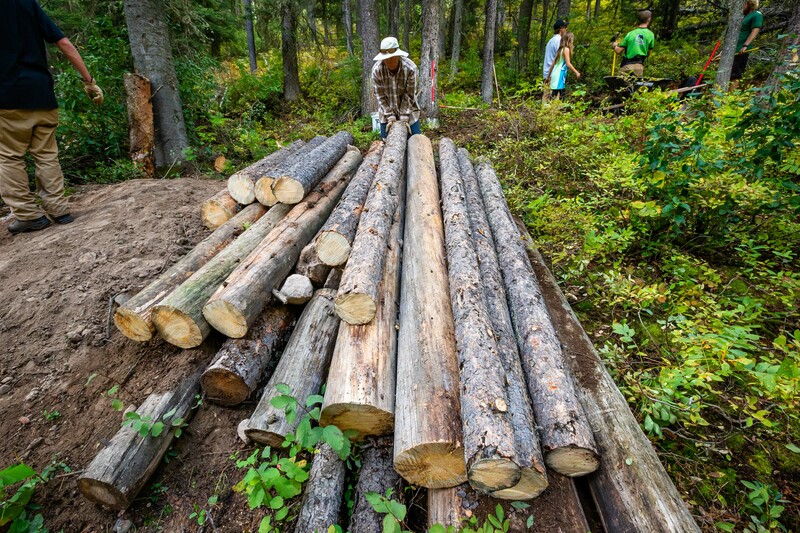 Harlan Hottenstein placing logs for a new feature on the Lithium singletrack in Wilson, Wyoming. 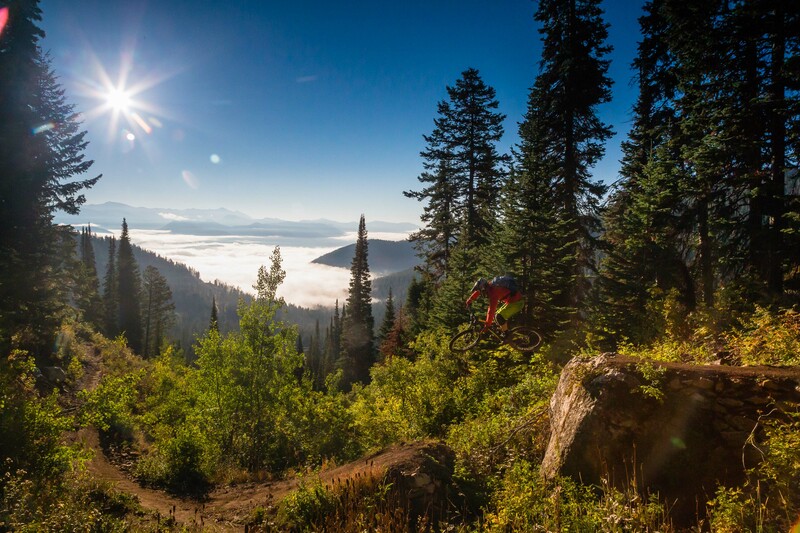 Andrew Whiteford gets some air along a ridge on Teton Pass heading towards the Black’s Canyon trail at sunrise near Wilson, Wyoming. 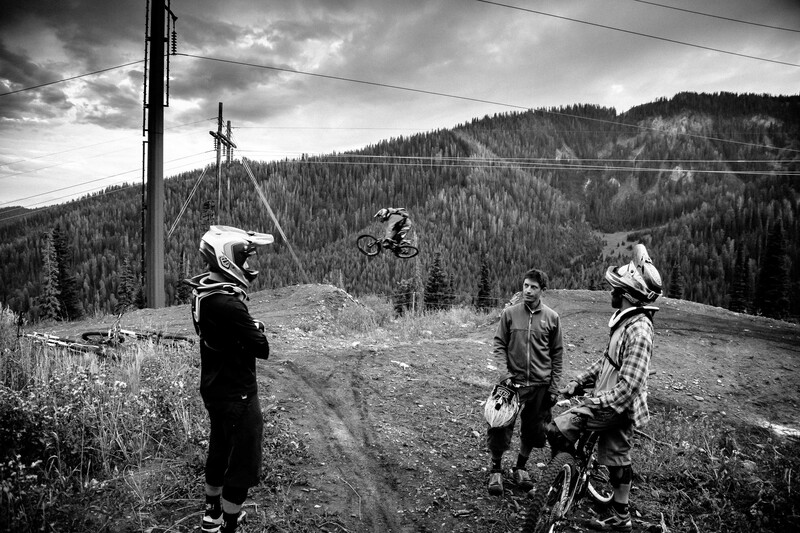 Andrew Whiteford gets table top air while (L-R) Aaron Grutzmacher, Jake Hawkes, and Rob LaPier have a conversation about the evening weather on the Fuzzy Bunny Trail on Teton Pass near Wilson, Wyoming. 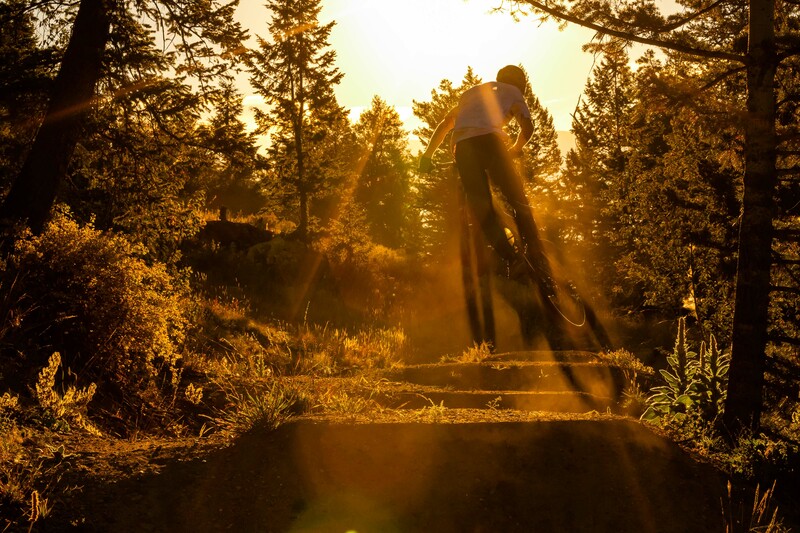 Malachi Artise creates his own bike shadow while grabbing air in a jump line in the Tetons on the Parallel Trail.